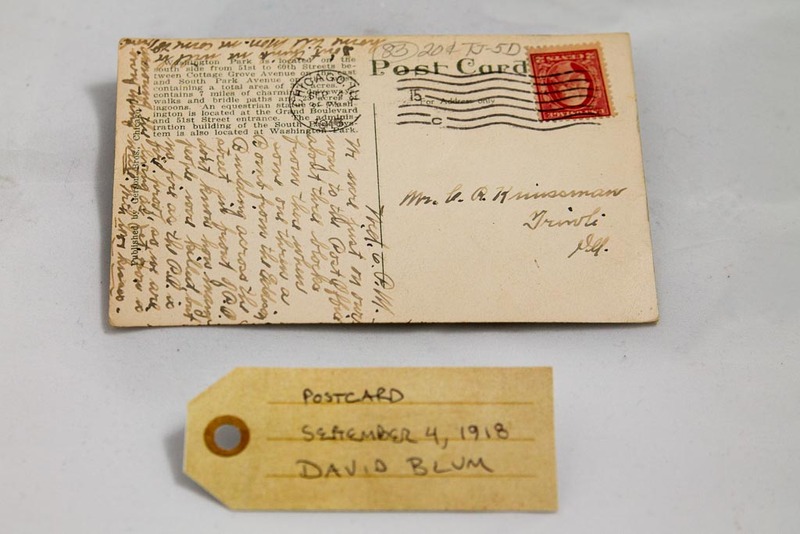 Postcard: September 4, 1918 | That Belongs in a Museum! My father was a geographer with a particular interest in cities. […] Going through his things I found a whole stack of postcards. […] I don’t know whether he accumulated these over a period of time or whether he went to some junk shop and found the whole stack. […] I was going through and reading some of the postcards which were actually mailed… But this one in particular… I read, and it was a little bit more specific and interesting. […] Sept. 4 1918 which was the bombing of the federal building downtown. […] Museum of relatively important postcards, or a museum of mirrors so you can see the front and back at the same time.